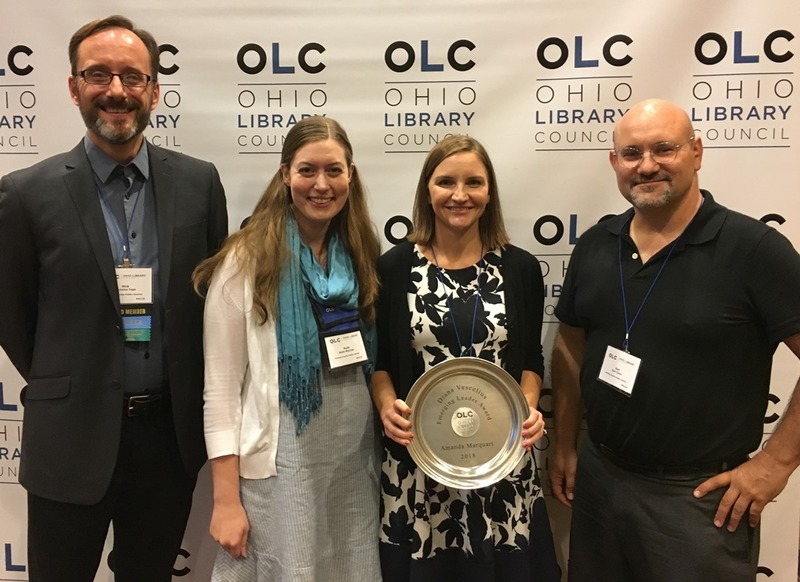 The OLC officially recognized the achievements of the 2018 Awards and Honors winners during a special ceremony at the Convention and Expo on Wed., Oct. 3 in Sandusky. This innovative and dedicated group (pictured below) exemplifies the highest level of public library service in the state. Read more about this year’s award winners. 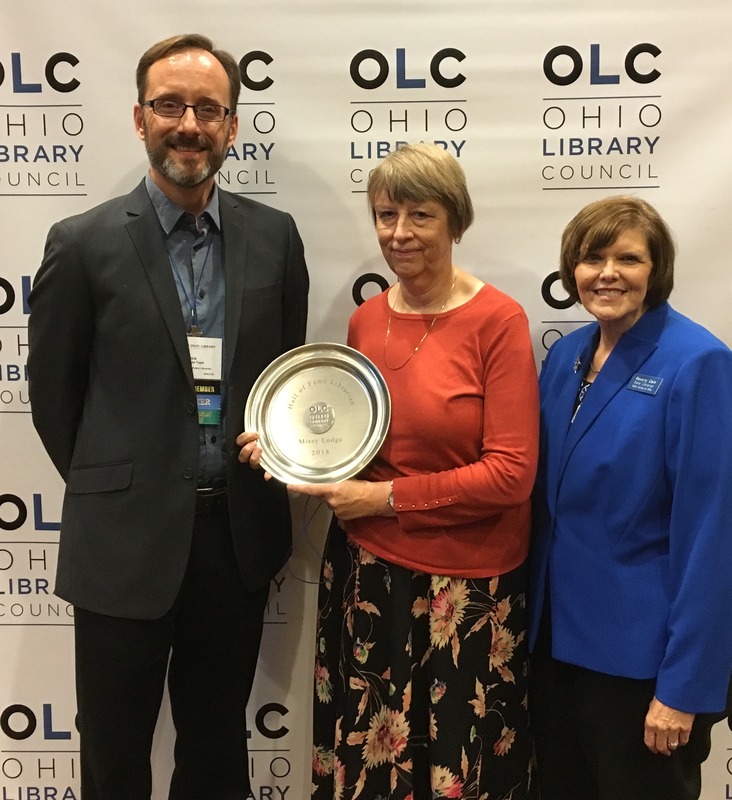 2018 Hall of Fame Librarian, Missy Lodge (center); OLC Chair of the Board Nick Tepe (left); State Librarian Beverly Cain (right). 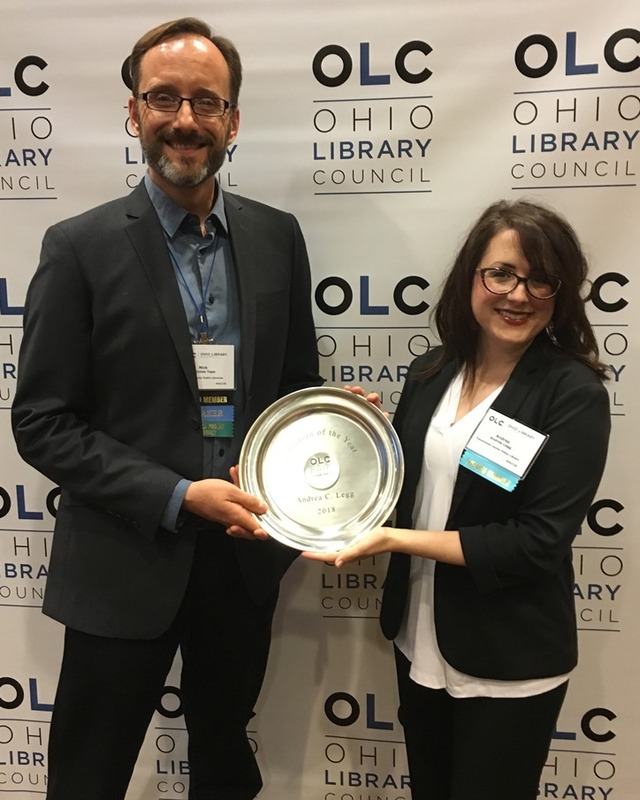 2018 Librarian of the Year Andrea Legg (right) with OLC Chair of the Board Nick Tepe (left). From left: Nick Tepe, OLC Chair of the Board; Ruth Monnier; Amanda Marquart, 2018 Diana Vescelius Emerging Leader Award winner; and Karl Colon. 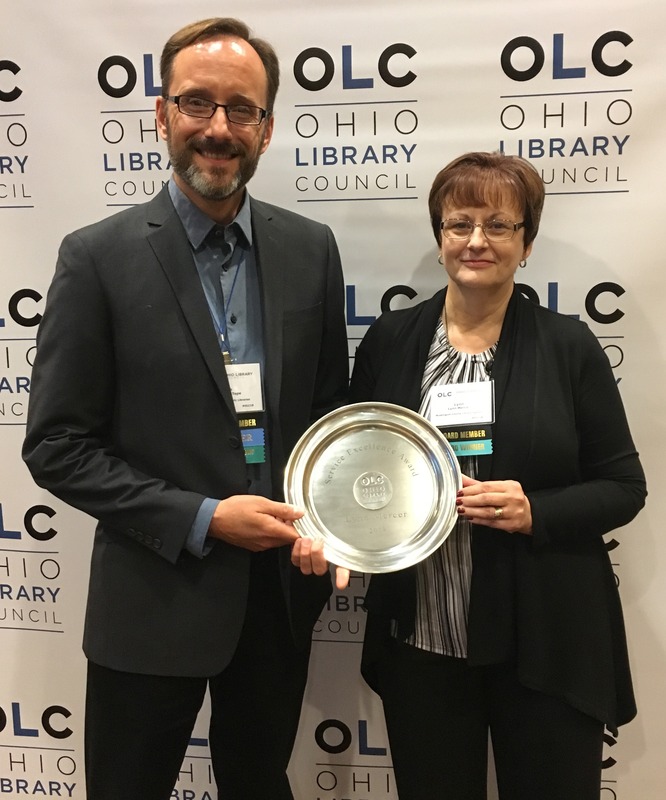 2018 Service Excellence Award winner Lynn Mercer (right) with OLC Chair of the Board Nick Tepe (left). 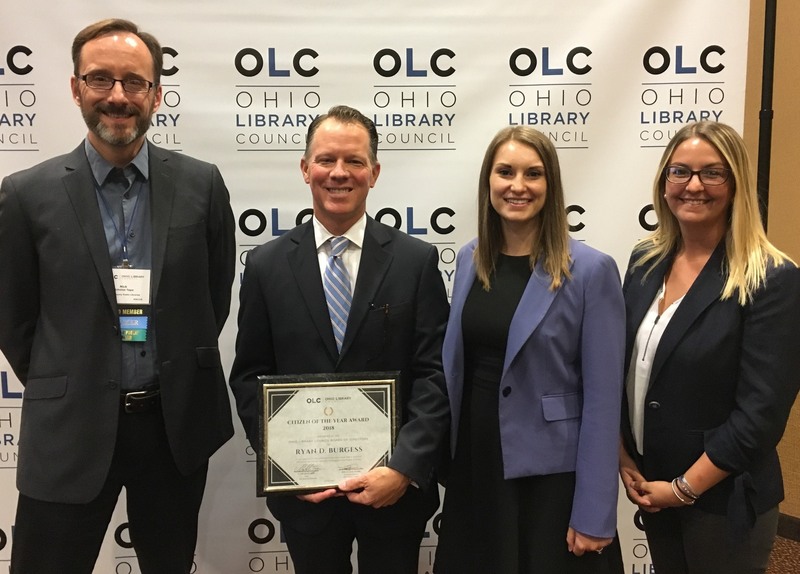 From left: OLC Chair of the Board Nick Tepe; 2018 Citizen of the Year Award winner Ryan Burgess; Emily Fabiano; and Julia Poling. 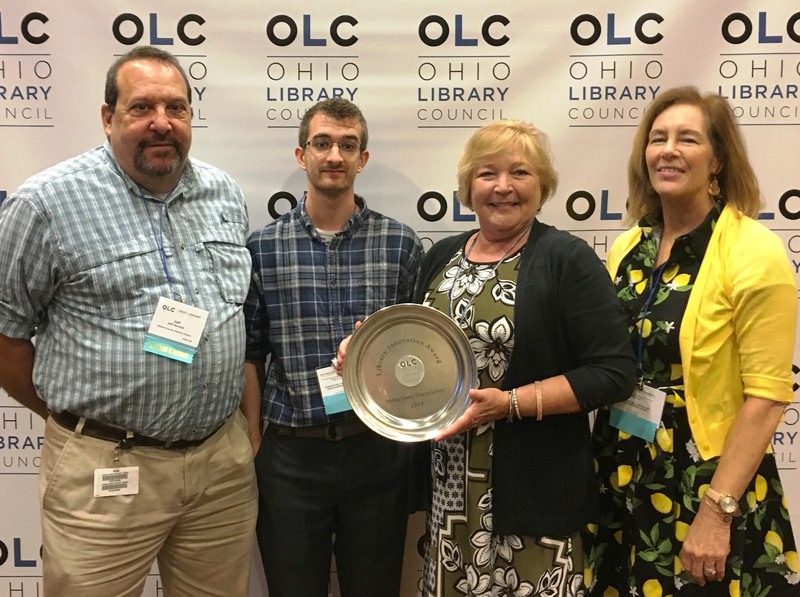 Library Innovation Award winners Jeff Sureck, Evan Furillo, and Sue Schuld from the Medina County District Library. 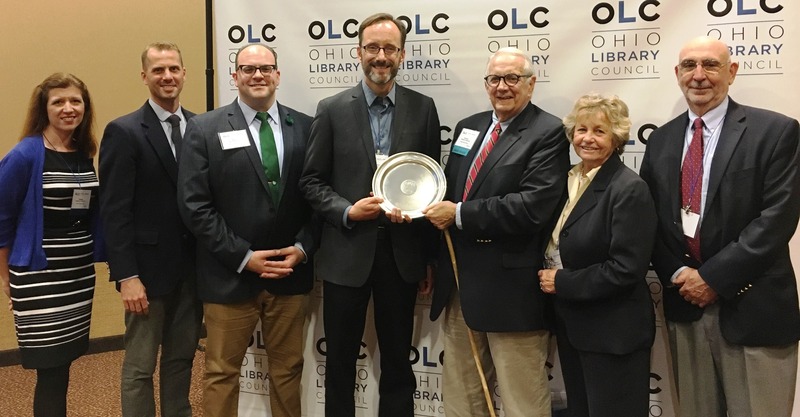 2018 Trustee Award of Achievement winner Michael Kilbourne with OLC Chair of the Board Nick Tepe and representatives from the Bexley Public Library. 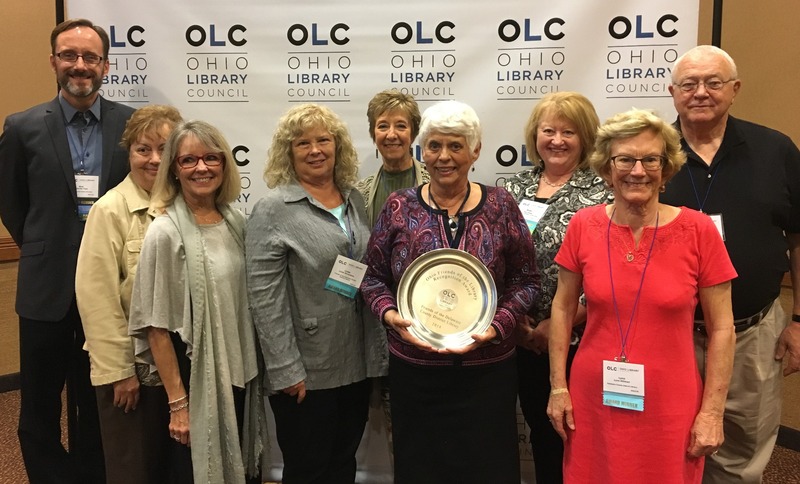 2018 Ohio Friends of the Library Recognition Award winners from the Delaware County District Library. 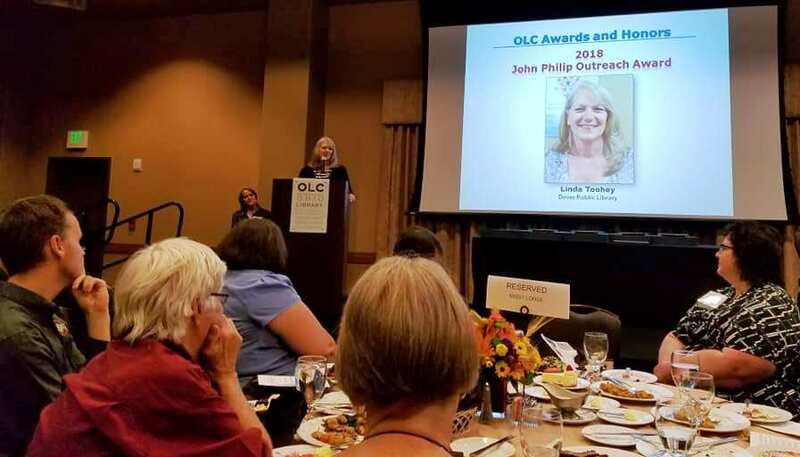 Dover Public Library Outreach Librarian Linda Toohey accepts the 2018 John Philip Outreach Award. Nominations for the 2019 Awards & Honors will open in January 2019. If you have a great co-worker or team in mind, please consider nominating them in 2019. Learn more about the Awards and Honors program.